Looking to be photo-ready, dress-code appropriate, and comfortable enough to dance all night? Dia&Co has your back. Summer weddings are many things—beautiful, warm, touching, warm, heartfelt, and well—warm. It can be tough to beat the heat while looking presentable during an outdoor ceremony. It’s important to be comfortable enough to dance the night away without looking underdressed. In the market for wedding wear? Reach out to your stylist for a Dia Style Box to find the perfect companion for the day. Learn more about surviving wedding season in style below! Most wedding invitations have an explicit dress code, but if you aren’t sure what it is, you can likely figure it out from the location. Still not sure? Reach out to the bride or wedding party for more details. Identifying the dress code is your first step to identifying appropriate fare for the day—check out our Decode the Dress Code post to learn the difference between black tie, garden formal, and more. Our #1 tip? Unless explicitly stated otherwise, don’t wear white. Let the bride shine in her white gown while you get playful with your color palette! 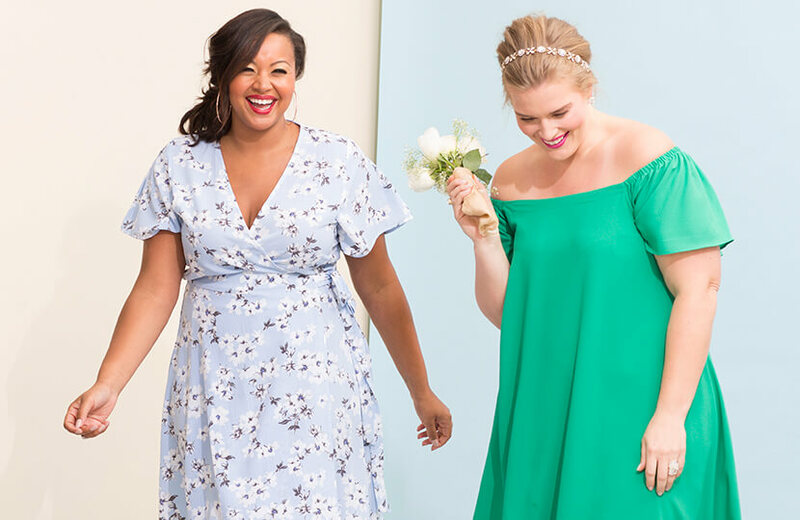 For daytime ceremonies in spring and summer, opt for a bright and happy floral print. If the event is in the evening, darker florals may be fitting. If the wedding takes place on the beach or in a garden, try a long and flowy romantic silhouette. A floor length maxi in a print that reflects the surroundings makes for an elegant ensemble. An invitation calling for cocktail attire makes for a great opportunity to wear a short and flirty dress. Go short and sweet (or tart, in this case!) with a seasonal print that shows off your personality. If you can avoid it, leave the big bag at home. Just fill a clutch with the essentials: lipstick, phone, cash, and ID. It might be an open bar, having a few dollars on-hand is never a bad idea to ensure you can tip bartenders, coat checks, and others, as needed. Jewelry is crucial at weddings, but the bride and groom aren’t the only ones to sport something shiny and new. Dress up a simple dress with playful jewelry, or just add a little frosting to finish off a bold look. More important than the dress you wear are your shoes—it’s a delicate balance finding appropriate shoes that will comfortably carry you through the day (and night!). Wearing stilettos to a beach ceremony will leave your heels sinking into the sand, while flats in a ballroom may leave you feeling underdressed. Whatever you wear, make sure you’re comfortable enough to dance the night away—after all, it’s a celebration! If you’re headed to a beach wedding, sandals are totally appropriate. Make sure they’re in good repair and that they don’t resemble flip flops. Embellishments are always a good idea—for footwear fit for the occasion, look for features like straps, bows, and embroidery. Headed to an outdoor wedding? You’ll want to skip the stilettos, which can prove awkward when standing in grass, sand, or a farmhouse. 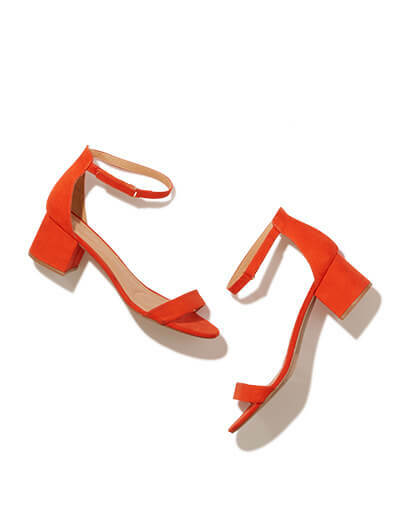 Opt for a fun block heel to provide you with some height without sinking into the earth beneath you. Not to mention, block heels are significantly more comfortable than stilettos. Hello, dance floor! If you crave the height that comes with heels but are going to be attending an outdoor wedding, wedges are the perfect shoe for the occasion. They won’t sink into the sand or grass, and provide enough support for you to last all night on the dance floor. Espadrilles and cork wedges are quintessential summer shoes, so if you’re planning for a fall or winter wedding, look for wedges in a different material like faux suede or leather. Stilettos are so much fun, but if you’ll be standing for a long time or dancing the night away, it’s best to go low. Kitten heels are having a serious resurgence right now and are significantly more comfortable than high-heeled stilettos. 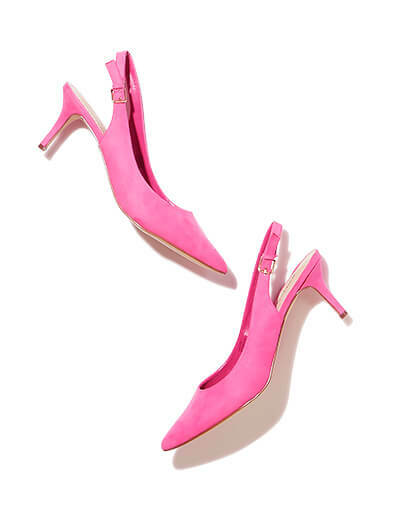 If you’re a glam girl, kitten heels just might be the purrfect choice. No matter who’s getting married or wherever the event is, remember that this is a day for celebration. Not only are you there to celebrate the bride, but you should also celebrate yourself. Getting dressed up shouldn’t feel like a chore, but rather a fun opportunity to try something new. If you are stressing, remember your Dia Stylist is just a click away!